‘Roads to success are uneven & pebbly, successful are those who dare to walk’. 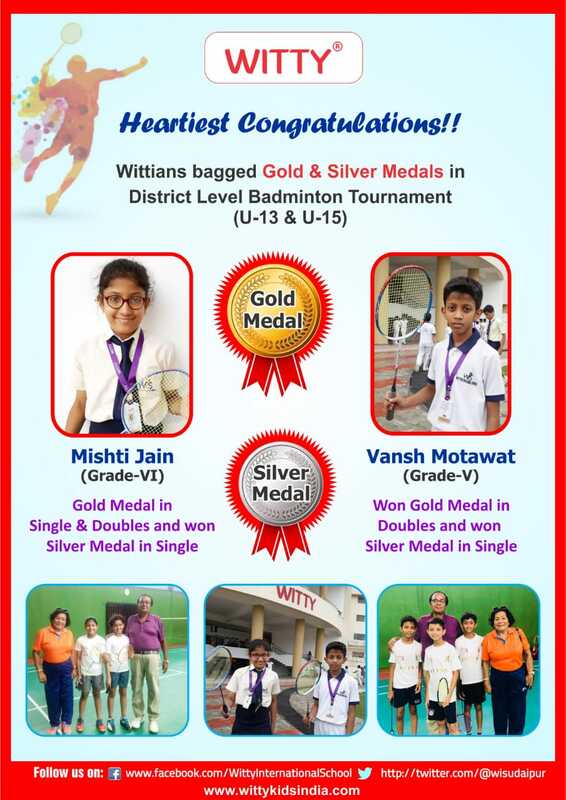 Witty International School, Udaipur feels elated to share the proud achievements of the victorious Wittians, Mishti Jain of Grade-VI for bagging Gold Medal in (Under -13) Single & Doubles & Silver Medal in Under -15. 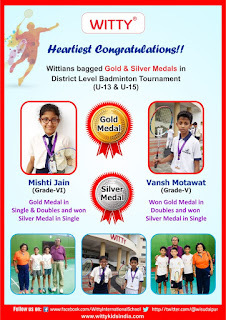 Vansh Motawat of Grade - V, also proved his mettle by winning Gold Medal in (Under - 13) Doubles & Silver Medal in Single conducted by open District Level Badminton Tournament (Under -13 & Under -15).